Hello everyone! We are back from High Point and after comparing notes, we are excited to share our favorite looks! If you are reading this and wondering “What is High Point?” let me tell you...High Point is the largest home interiors industry trade show in the world, and has about 2,000 exhibitors. 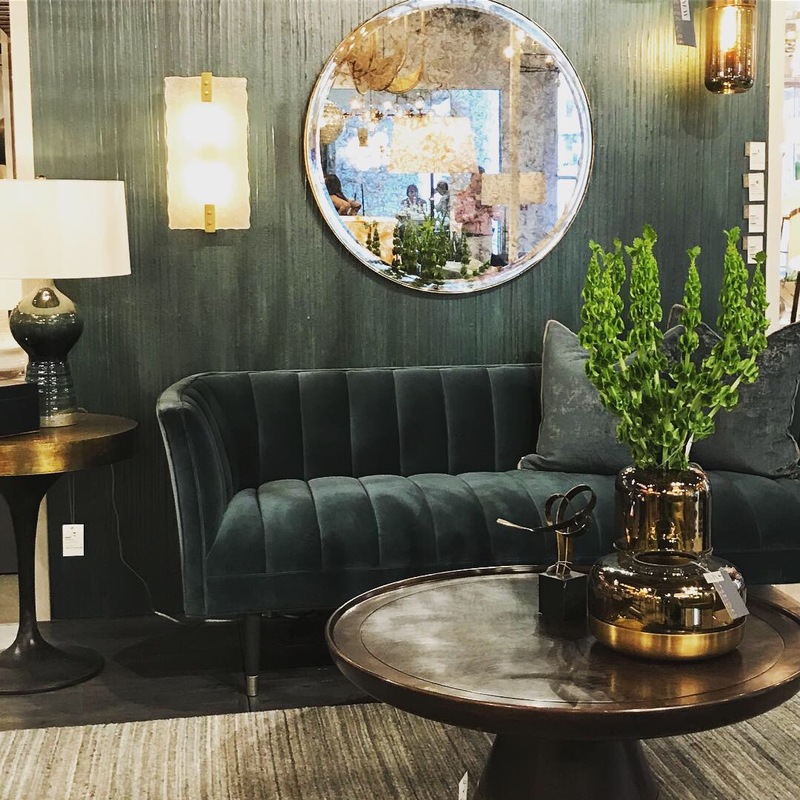 It’s THE place to be for interior designers, buyers, manufacturers both big and small, and anyone involved in home furnishings. Lets look at some of the most prominent trends at this years show! The biggest trend we saw is channeled seating. It was everywhere! We saw it in so many showrooms, and in a multitude of colors and fabrics. 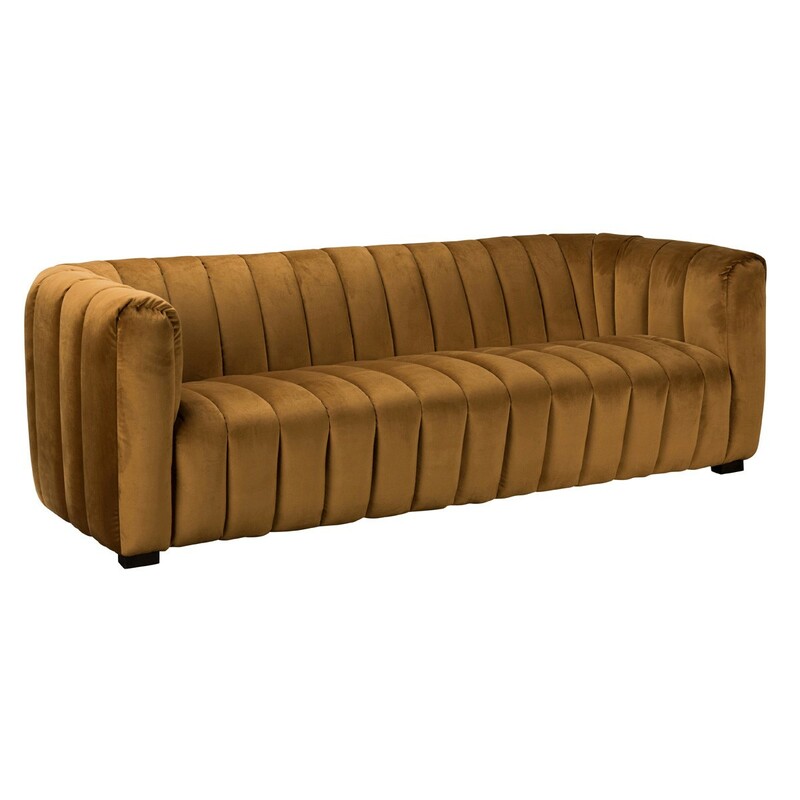 Our top three favorites were a seafoam sofa, a navy blue swivel chair, and a neutral sofa, all from dovetail. 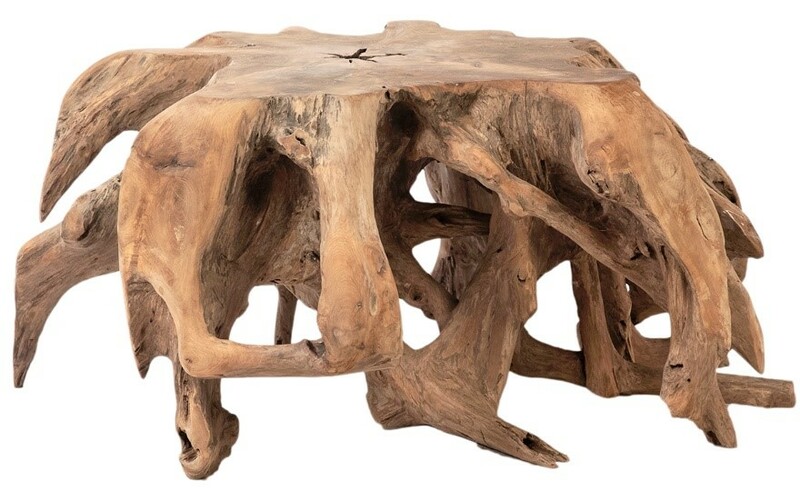 These pieces will look good in any room, and compliment both contemporary and modern styles. Velvets always look good, but the channeling really brings our the stubble color and shine. The colors that will be everywhere are shades of blue and green. We saw every variation in green from jade to army, from sky to teal. The blues mixed beautifully with the greens, and we saw stunning showrooms that were soft and and inviting. Pastels are going to be huge this summer, but it was interesting to see variations of green and blue as the feature elements and pink as accents. Natural elements were everywhere also. We saw roots used as coffee and side tables. Sideboards featuring wood grain in clear finished. Many of the vignettes shoed pieces in lighter stains, with natural rougher textures. We are seeing a lot of hand carved details, and restored woods. Special mention goes to yellow and gold! This sofa was so beautiful in person. 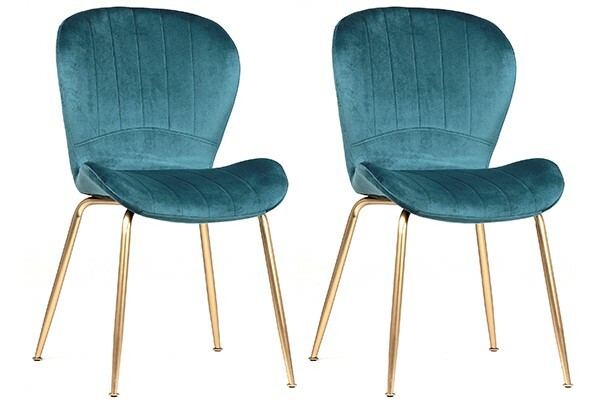 Classic Home is showing some beautiful colors in velvet. Many of the accessories in all the showrooms are in the gold family...from bright and shiny to an understated champaign. We are here for all of it! With these new trends in mind, stop by our showroom! Our talented staff of designers are here to help you update the look of your home. Whether it is a couple of pieces to create the look of the season, or a whole remodel, our designers can help you create the home of your dreams. Everything featured in this blog can be purchased for you through One of a Find. 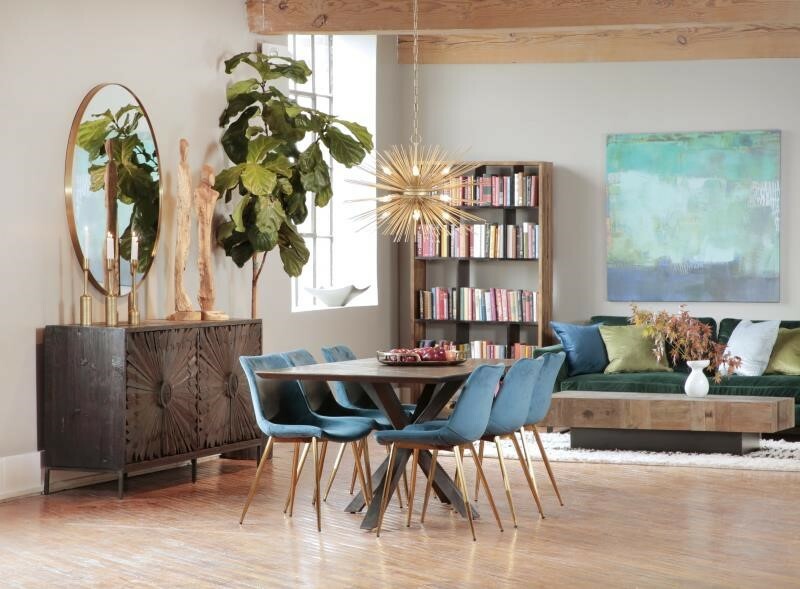 Our family of vendors are some of the top names in home furnishings. Please contact any of our talented designers at info@oneofafind.net or by calling 248-347-0850.